The “refugee crisis” has led to the establishment of the European Border and Coast Guard (EBCG) (the successor of Frontex) in 2016 and the transformation(still under negotiation) of the European Asylum Support Office (Easo) into a European Union Agency for Asylum (EUAA). The expansion of the operational tasks of the EBCG and the future EUAA in comparison to Frontex and Easo is clear. 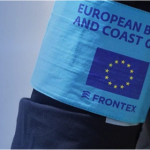 While Frontex and Easo have traditionally been characterized by their operational role and assistance to the frontline Member States on the ground, Europol under the recently adopted Regulation 2016/794 has also started to assist those national authorities subject to the extraordinary and sudden arrival of mixed migratory flows. Europol is a hub of information and intelligence that is starting to develop a significant presence on the ground by providing operational support to the national migrant smuggling and human trafficking investigations. Nonetheless, the extent of Europol’s involvement and assistance to the Member States remains unclear. The recently adopted Regulation 2016/794 neither refers to the operational tasks of the agency, nor the deployment of staff of Europol in the hotspots. 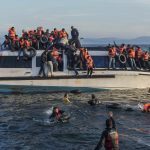 Hence, in this blog post the emerging operational role of the agency in migrant smuggling matters is examined. In particular, the participation of Europol in Joint Investigation Teams (JITs), the establishment of the European Migrant Smuggling Center (EMSC), and the tasks that the agency undertakes in the Greek and Italian hotspots is analyzed. Firstly, according to article 6 Regulation 2016/794, Europol is authorized to request the competent authorities of the Member States to initiate, conduct or coordinate a criminal investigation. Interestingly, in the case that the concerned Member State decides not to accede to such a request, the competent national authority is required to inform Europol of the reasons for their decision within one month of receipt of the request (article 6(3) Regulation 2016/794). Regulation 2016/794 vests a nascent operational role to Europol by determining that the agency may coordinate, organize and implement investigative and operational actions to support the Member States. Europol is, however, not authorized to apply coercive measures to conduct any of its operational tasks (article 4(5) Regulation 2016/794), which would ultimately contravene article 88(3) TFEU (“the application of coercive measures shall be the exclusive responsibility of the competent national authorities”). In particular, Europol may participate in JITs and coordinate, organize and implement investigative and operational actions in order to support the national enforcement authorities (article 4(1)(c) and (d) Regulation 2016/794). According to article 5(1) Regulation 2016/794, “Europol staff may participate in the activities of joint investigation teams dealing with crime falling within Europol’s objectives”. Although the agency no longer needs the authorization of the concerned Member States to take part in a JIT, Europol remains unable to independently initiate a JIT, and may only propose such a measure to the Member States and take actions to assist the competent national authorities in setting up the team (article 5(5) Regulation 2016/794) (see, Council Resolution on a Model Agreement for setting up a JIT and the JITs Practical Guide). Since Regulation 2016/794 entered into force on 1 May 2017, Europol participated in several JITs (see here or here). For instance, Europol coordinated an investigation regarding an organized criminal group that was illegally transporting migrants from Afghanistan, Iraq, Pakistan and Syria to the EU through the Balkan route. Europol also took part in a JIT that dismantled a migrant smuggling network operating across Europe. Specifically, the agency facilitated the investigation’s information exchange, provided extensive analytical support, deployed its mobile offices to Belgium and the UK, and analyzed, exchanged in real-time and immediately cross-checked against Europol’s databases the information gathered. Moreover, article 4(1)(l) Regulation 2016/794 states that Europol shall “develop Union centers of specialized expertise for combating certain types of crime falling within the scope of Europol’s objectives (…)”. These centers aim to coordinate, organize and implement investigative and operational actions to assist the Member States in combating transnational crime and terrorism. On22 February 2016, Europol launched the EMSC. 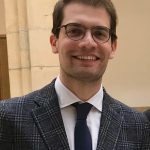 This center aims to proactively support EU Member States in dismantling criminal networks involved in organized migrant smuggling, and to be a single entry point for inter-agency cooperation on smuggling. 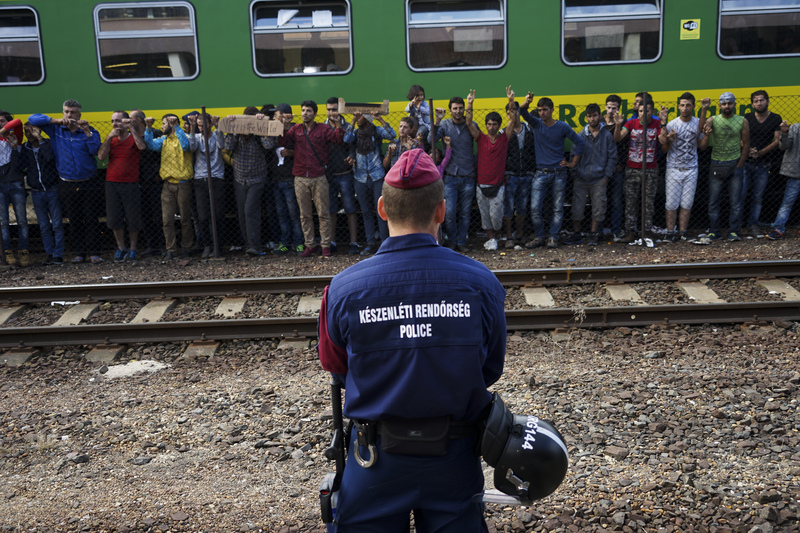 Since February 2016, the EMSCassists the competent national enforcement authorities by providing secure-information, sharing opportunities and strategic and operational analysis, gathering evidence, and undertaking investigations against the smuggling networks facilitating illegal entry, onward secondary movement, and the residence of migrants in the EU. The assistance of the EMSC is divided into five main areas for action: 1) Operational support, coordination and expertise; 2) Strategic support to EU Member States and partners; 3) Platform for EU Member States and partners; 4) Support to the European Union Regional Task Force (EURTF) and Hotspots; 5) Deployments on-the-spot via Europol Mobile Investigation Teams (EMIST) and Europol Mobile Analysis Teams (EMAST). According to the first EMSC Activity Report, the leading role of the Center is assisting and coordinating cross-border, anti-smuggling operations, which requires close coordination with partner agencies (namely, Eurojust and the EBCG). The second activity report of the EMSC further details that the Center assists the competent national enforcement authorities in cases related to migrant smuggling and document fraud through forensic support in relation to questioned documents and materials used to produce suspicious documents, on-the-spot support to provide technical assistance and expertise in investigating forged documents and dismantling illegal print shops, and permanent deployments in the hotspots. As of September 2017, the EMSC had supported 68 investigations against criminal networks in 2017 and 93 in 2016, 3 JITS in 2017 and 2 in 2016, and identified and monitored 830 vessels that may be involved in illegal migrant smuggling (Commission, “Communication on the Delivery of the European Agenda on Migration”, COM(2017) 558 final, 27.09.2017, p. 7). The key operational novelty of the EMSC consists in deploying investigative and analytical support teams (EMIST and EMAST) and guest officers to undertake systematic secondary security checks and support frontline Member States in the hotspots. Europol’s Review 2016-2017highlights the strong operational capacity provided by the agency in the hotspots and specially the secondary security checks undertaken by the deployed officials: “Europol experts worked side-by-side with national authorities at the EU’s external borders to strengthen security checks on the inward flows of migrants, to disrupt migrant smuggling networks and identify suspected terrorists and criminals”. Europol’s core mission at the hotspots consists in reinforcing the exchange of information, verifying such intelligence within the relevant databases, improving the national investigations, conducting operational and strategic analysis through the deployment of teams of experts on the ground, being present at the screening of the arrived migrants and, providing forensic support. 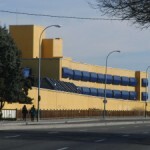 The officials of Europol that are deployed in the hotspots thus offer expertise, coordinate operational meetings, provide analytical support and cross-check against the databases of the agency (see here, here and here). They aim to ensure a comprehensive EU law enforcement approach and operationally assist the concerned frontline Member States in averting and combating migrant smuggling, human trafficking and terrorist networks. 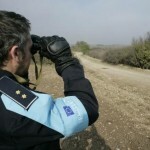 As of March 2018, 19 Europol’s guest officers and 2 Europol staff were deployed in the Greek hotspots,and 16 guest officers and 2 Europol staff were deployed in the Italian hotspots to conduct secondary security checks (Commission, “Communication on Progress report on the Implementation of the European Agenda on Migration”, COM(2018) 250 final, 14.03.2018, pp. 5 and 9). Not only is the EMSC active in supporting the national authorities in exchanging intelligence and investigating existing criminal networks operating in the Mediterranean, but Europol’s officials, jointly with the EBCG and the concerned Member State, also debrief the arrived migrants at the hotspots and assess the data gathered from the interviews and investigations. However, while Regulation 2016/794 of Europol explicitly indicates that the agency may establish centers of specialized expertise like the EMSC, it does not further clarify the specific and significant operational tasks that Europol may conduct through these centers. Furthermore, unlike the EBCG and EUAA Regulations that expressly cover the support of the agencies to the Member States in the hotspots, Regulation 2016/794 on Europol does not mention the operational role that the agency plays in the hotspots. To conclude, while it is true that Europol still plays a secondary operational role in comparison to the EBCG or the future EUAA, the agency conducts tasks on the ground that may affect the individuals’ fundamental rights. In fact, only during October 2016, the guest officers deployed by Europol in Greece checked 1,490 persons. Currently, there is a lack of transparency regarding the specific operational support of Europol to the national enforcement authorities in their illegal migrant smuggling and trafficking of human beings investigations, which makes it almost impossible to effectively monitor the activities undertaken by the agency. If the operational role of Europol keeps expanding, the appropriateness of creating a Consultative Forum, a Fundamental Rights Officer and an individual complaint mechanism within Europol should be examined. These fundamental rights structures, which are already established within the EBCG, might be a useful way of mainstreaming fundamental rights and adding transparency to Europol’s operational tasks. This entry was posted in The EU and tagged EMSC, enforcement, EUROPOL, Hotspot Approach, Refugee Crisis, Regulation 2016/794, smuggling. Bookmark the permalink.